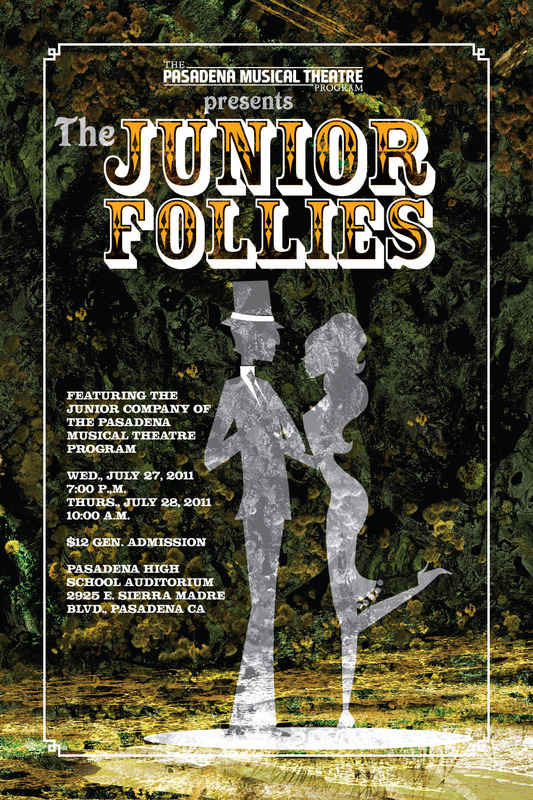 Ryan Scott Oliver, PMTP‘s creative director, wrote a brand new musical for the students who participated in the Summer 2011 session of the Pasadena Musical Theatre Program. I am a member of the board of directors of this fantastic program. We now have a partnership with the Pasadena Playhouse, and are looking to expand even further into the community. 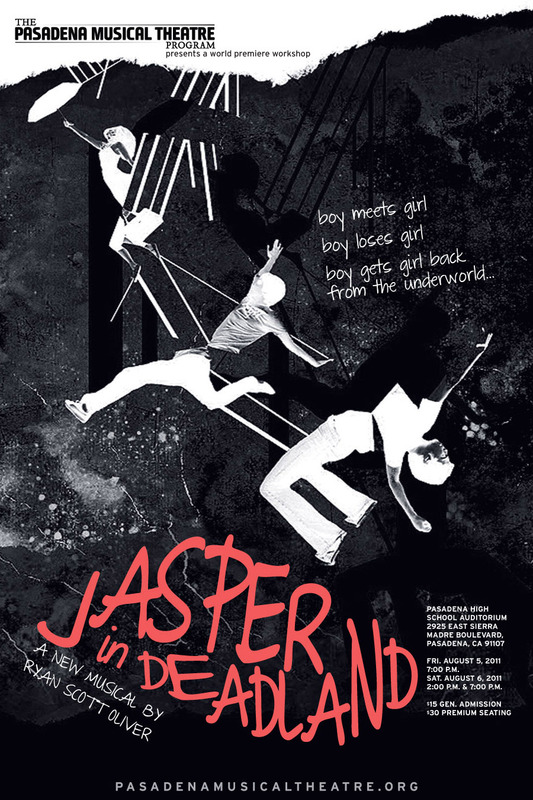 But back to the musical, Jasper in Deadland. I filmed a bunch of the shows and rehearsals, and mixed the live sound off-the-board for this recording. It gives a good glimpse of what the students got to experience over the summer: originating roles in a fantastic new musical, and getting to work with musical theatre professionals — directors, choreographers, lighting and sound and costume and set designers, etc. The Jasper in Deadland keyart was developed with strong direction from the composer/conductor, Ryan Scott Oliver, because this is his baby. I’m very excited to be helping him bring this original musical to life. As part of the story for Jasper in Deadland, the protagonist crosses the river Lethe (get out your mythology books!) and keeps getting offered Lethe™ Brand water, so we decided that we needed to offer Lethe™ Brand products as well. Filming these giving me a chance to understand how to choose shots quickly and follow the action. Everything is handheld except for performance video. Tomorrow (I hope) I’m going to roll out a press release announcing one of the newest projects that I have been working on. We’re very proud of the design work that Hearken Creative is doing these days, and I can’t wait to update my portfolio. It’s just a busy time of year for us! 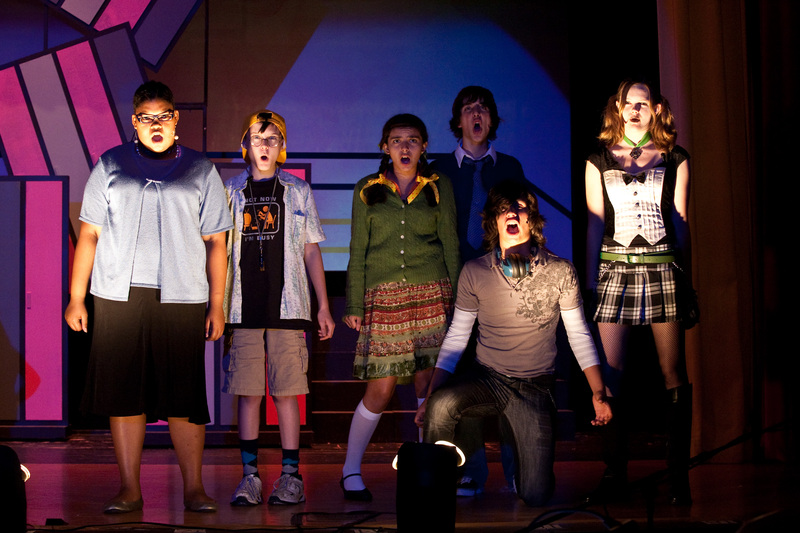 The Pasadena Musical Theatre Program is a decades-old training program for kids in Pasadena, CA. But I would call this a kid’s program on steroids, or, better, a pro theatre program that just happens to have kids as its focus. But this summer we held a master class with Megan Hilty of Wicked fame, held a class entitled Pursuing a Career in Musical Theatre, and did a American Idol-style solo competition, in addition to the two main shows that are produced every summer. Ryan Scott Oliver (award-winning musical composer), Cindy Abbott (wonderfully dedicated Pasadena music teacher), and Emily Clark (fabulous musical theatre performer and teacher) have transformed this program into a powerhouse that trains over 125 students every summer. sound designed both major shows — the Juniors (4th-6th graders) and the Seniors (7th-12th grade) shows. Essentially, this was two weeks of wrangling a high school auditorium (that a friend aptly called an “airplane hangar”) into submission, using Hearken Creative-provided equipment, rented equipment, and the high school’s 40-year-old 24-channel mixer, as well as my own 16-channel digital mixer. Twenty wireless body mics, plus choir mics and band sound reinforcement. Gimme Gimme, performed on July 8, 2010 from Loren A. Roberts on Vimeo. The purpose of the program is twofold: first, arts education is vital to a well-rounded education, and music/dance hits so many of the other disciplines — math, reasoning, spatial relationships — that it seems stupid the schools are cutting performing arts. Secondly, there is an erroneous meme out there that there are no viable career options in performing arts. We aim to change that perception. By using Hearken Creative’s graphic design skills, our production and sound design skills, as well as our music background and fundraising acumen, we were able to help make this summer’s Pasadena Musical Theatre Program a complete success.